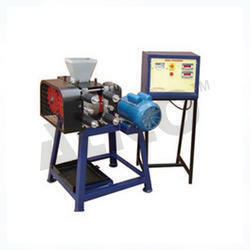 Our product range includes a wide range of small roll crusher and roll crushers. This comprises of two hardened alloy steel rollers with 100mm, faces and 250mm. diameters. The rollers are fitted to a steel shaft and are mounted on heavy duty gunmetal bearings. The outside bearings are provided with heavy duty compression springs. Which help in increasing the space between the rolls, when a piece of material cannot be crushed. Square threaded bolts are provided to adjust the gap between the rolls. The drive is by a heavy motor, through 'V' belts, to a set of gears and further to the rollers. A hopper is provided for feeding the material. The whole arrangement is mounted on a fabricated steel material. Supplied complete with a 3.0 H.P motor and starter. Wired fro - 440V. 3 Ph. 50 Hz. 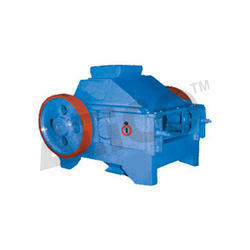 Advanced Technocracy Inc. is Manufacturer, Exporter & Supplier of Roll Crushers. A Roll Crusher is basically intended for crushing various hard materials like ores and minerals of large size into a smaller size. As the name implies, two hardened alloy steel rollers with smooth surfaces, rotate to crush the material fed. Looking for Cement - Concrete Testing Equipment ?